To claim this profile, please confirm you are Sabrina Binet. To follow this profile, please let us know your relationship to Sabrina Binet. Sabrina's basketball stats have been updated for the loss vs. St. Cloud. RESULTLoss Girls varsity basketball vs. St. Cloud. The Celebration varsity basketball team lost Thursday's neutral conference game against St. Cloud (FL) by a score of 62-19. Sabrina's basketball stats have been updated for the win @ Harmony. RESULTWin Girls varsity basketball @ Harmony. The Celebration varsity basketball team won Tuesday's away non-conference game against Harmony (FL) by a score of 32-13. Sabrina's basketball stats have been updated for the loss vs. Poinciana. RESULTLoss Girls varsity basketball vs. Poinciana. The Celebration varsity basketball team lost Thursday's home non-conference game against Poinciana (Kissimmee, FL) in overtime by a score of 48-45. Sabrina's basketball stats have been updated for the loss @ Cypress Creek. RESULTLoss Girls varsity basketball @ Cypress Creek. The Celebration varsity basketball team lost Tuesday's away non-conference game against Cypress Creek (Orlando, FL) by a score of 48-17. Sabrina's basketball stats have been updated for the loss @ Harmony. RESULTLoss Girls varsity basketball @ Harmony. The Celebration varsity basketball team lost Thursday's away conference game against Harmony (FL) by a score of 27-19. RESULTWin Girls varsity basketball @ Tohopekaliga. The Celebration varsity basketball team won Tuesday's away conference game against Tohopekaliga (Kissimmee, FL) by a score of 46-12. Sabrina's basketball stats have been updated for the loss vs. Melbourne. RESULTLoss Girls varsity basketball vs. Melbourne. The Celebration varsity basketball team lost Friday's home conference game against Melbourne (FL) by a score of 56-23. 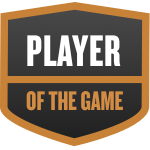 Sabrina was selected the Player of the Game in the basketball game against Osceola on Tue, Jan 15 2019. Sabrina help lead the Storm to a win with 4 pts, 6 rebounds, and 3 block shots. Sabrina's basketball stats have been updated for the win vs. Osceola. The Celebration varsity basketball team won Tuesday's home non-conference game against rival school Osceola (Kissimmee, FL) by a score of 46-34. Sabrina's basketball stats have been updated for the loss @ Hagerty. RESULTLoss Girls varsity basketball @ Hagerty. The Celebration varsity basketball team lost Thursday's away conference game against Hagerty (Oviedo, FL) by a score of 56-29.